Stationless bike share bikes on a Seattle corner. Source: Kiewic via Flickr. Post by Stefani Cox, BetterBikeShare.org, and Michael Andersen, PlacesForBikes. For the final post in our series on Seattle’s new stationless bike share systems, we spoke with Gordon Padelford. 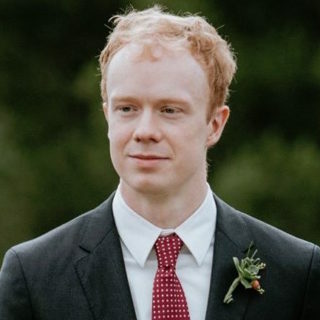 Padelford is the executive director of Seattle Neighborhood Greenways, where he works to cultivate the safe streets movement within the city. 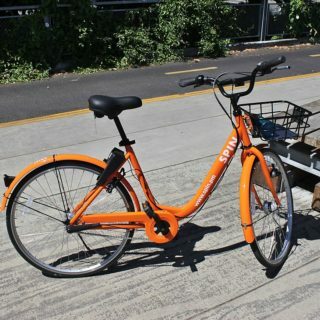 Padelford, like city spokeswoman Mafara Hobson and local writer Tom Fucoloro, is mostly optimistic about private bike sharing so far, though he has concerns about the overall state of Seattle’s bike infrastructure. According to Padelford, there may be a role for stationless systems to shape streets for the better. 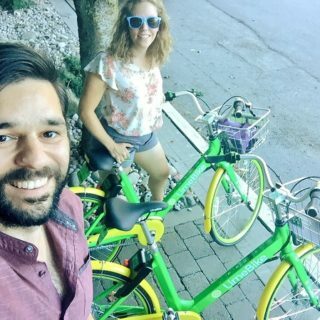 Does Seattle Neighborhood Greenways have any involvement or partnership with the dockless bike share systems in Seattle? We got a small grant from Spin, between us and three other groups to do some outreach to businesses in the International District and to help fill one of the major protected bike lane gaps in our infrastructure network. They just gave us a little grant and said go. It was a no-strings-attached grant. As an organization that advocates for safe streets and infrastructure, what would you like to see from dockless bike share? The dream is that we’ve reached the large segment of the population that doesn’t have access to a working bike. I want to say it’s about 60 percent of people in Seattle who don’t have access to a working bike at home. This is a fairly low-barrier way for people to have access to a bike. Obviously, there’s still a challenge if you don’t have a smartphone. They are setting up systems to get around that, but it’s still kind of clunky. If you do have a smartphone and a credit card it’s really accessible. I see a lot broader cross-section of the population using bike share than I did with our stationed Pronto system, just because I think it’s more of a spontaneous decision for folks. That’s really exciting to see. So my hope is that stationless bike share increases the number of people who are choosing to bike for short trips, and then that in turn creates pressure to really create safe infrastructure so that they can all get around safely. I do think there is an important role for stationless bike share companies to play in helping create an all ages and abilities network of bike routes. The automobile industry was incredibly important during the 20th century in supporting the expansion of highways and prioritizing our right of ways for cars. Stationless bike share companies, and other bike companies for that matter, should do more to help accelerate the implementation of basic bike networks in cities around the country. It would also makes good business sense for them, as the completion of basic bike networks will increase the number of people who feel safe and comfortable biking, and therefore increase their potential market. Who has been using the bikes so far? Are riders more or less diverse (i.e. by race, age, and income) than Pronto riders were? It seems like yes, but all anecdotally. Folks who appear to be without permanent housing also seem to be using the system to get around, which is exciting to see, since often services are spread around. Or they may be living somewhere that’s not close to where they need to be. Are the bikes fairly well spread out through all of Seattle’s neighborhoods? The initial rollout was really downtown heavy. It also covered the Burke-Gilman trail, our biggest trail. There’s still definitely an over-concentration in that area; there’s obviously a lot of folks who’d like to use bike share in the downtown area. My understanding is that recent drops have been more geographically spread out. I’ve also heard that there are still folks in the Rainier Valley would like to see additional bikes deployed, because it is such an accessible way to have access to a bike. I’m definitely hearing a lot of excitement around the city of folks who want to see it come to their neighborhood. We still have a challenge in Seattle where a lot of the bikes end up downhill. We have some pretty big hills here in Seattle. Without rebalancing — I don’t know if that’s happening or not — even when bikes are brought uphill it doesn’t seem like they stay there very long. Folks have been kicking around, Is there a way to incentivize people riding uphill? Even if you’re incentivized to do it monetarily, it’s still a physical barrier to some folks who might not be able to get up those hills. There are some electric assist stationless bike share systems now that are being slowly tested out in different areas. I’d like to see that come to Seattle. I think we’re the perfect city for it. You open up a lot more origin-destination pairs if you’re able to go up all of our hills. The downtown of Seattle is surrounded by hills. 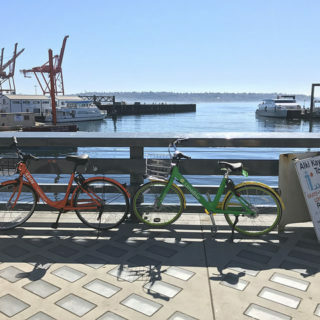 Taking a step back, what do you see as the big draw for dockless bike share in Seattle? What’s the element that hooks people in? It’s just a really low barrier to entry. You see the bikes everywhere, they’re brightly colored. You walk up to one, and it explains how to access it in three steps. It’s $1 to try it out. Most people these days have a smartphone, so people are just sort of trying it out. I see lots of groups of friends riding to ball games. Pronto always felt, anecdotally, like a higher barrier to entry at $80 per year. Do you feel like dockless bike share will have an impact on the “interested but concerned” population? I think it’s encouraging more folks to ride from the “interested but concerned” demographic. I still think that if you are riding around on a bike share system you’re still experiencing that lack of comfort and connectivity that we’re experiencing in Seattle. 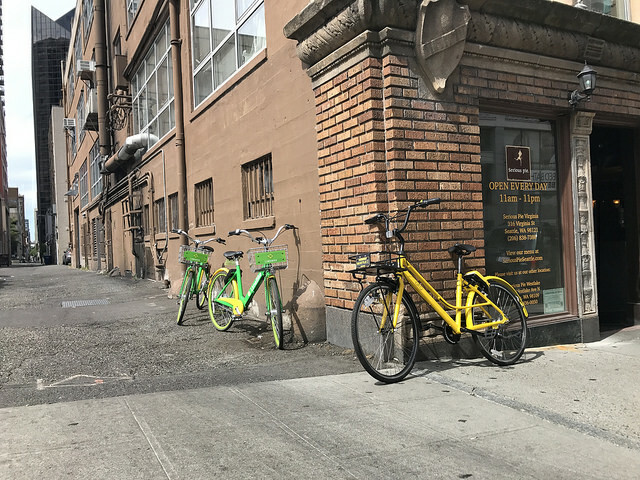 I’d be really curious if Spin, or Limebike, or Ofo did a survey with new riders to ask “What was your experience with Ofo and your experience with the infrastructure on the ground?” I think you would get a really interesting demographic of people who have never ridden a bike in Seattle before, and all of a sudden they’re trying it out. I hope their first experience was good, but given our lack of a basic bike network currently, I don’t know. Do you see this at all as an opportunity for local advocacy? Yeah, the city has an agreement to connect anonymized data about where these rides are going. So that’s really helpful, just to get a new sense of demand of where people are riding currently. It has potential to develop a new constituency of folks who are just trying it out, and would like to ride more, but don’t quite feel safe riding on Seattle streets, and then they want to get involved in the safe streets movement. What would you like to see from the city in terms of carrots, sticks, and regulations for dockless? Where would you like to see things go after the pilot period ends in December? I think the city has done a fantastic job. I think Kyle Rowe in particular has done a really good job on setting the regulatory environment, where these systems can thrive and grow, but not just be abandoned. The thing that I think could be improved is that we are seeing folks leaving bikes in crosswalks or curb ramps or the through-zone of the sidewalk. Everyone’s been really clear about where you need to park them, but it’s a learning curve. So I’m hoping folks will learn, and if they don’t, I’m hoping that the City and these systems work together to find systems to educate the users. For example, if you rent a car2go in Seattle and you park in the wrong place, you get a parking ticket. There doesn’t seem to be that built-in feedback system currently with stationless bike share. That’s definitely something that we’ve flagged and are watching as an emerging potential issue, and we’re hoping that education is able to solve that problem. Do you see dockless as a sustainable model that will be around for a while? Why or why not? I hope it continues. It seems to be well-used and well-received by people in Seattle, but I don’t have a sense of their business plan and whether that pencils out. Anecdotally, I see of lot of bikes that seem to be damaged or that have stolen seats. So that seems like that would be in their loss category. All forms of transportation need some levels of subsidy, so if they can make it as a for-profit entity, that would be phenomenal. Qs & As edited. Don’t forget to take a look at the first two posts in this series with Seattle DOT Communications Director, Mafara Hobson, and the publisher of Seattle Bike Blog, Tom Fucoloro.